In order to boost consumer spending and to increase purchasing power, the standard VAT rate in Romania decreased from 24 to 20 % as of the 1st of January 2016. Poland also intended to decrease the standard VAT rate from 23 to 22 % as of the 1st of January 2016, but this project was dropped. 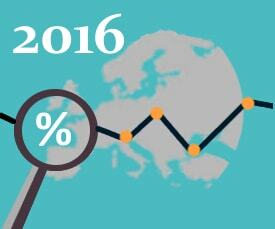 Standard VAT rates in other countries from the European Union remain stable. You can find them on the map at the end of the page “VAT reclaim”.